A studio serviced apartment or an apart-hotel style apartment, is like a hotel room but much more homely with additional features offered. Whether travelling for leisure or business, there are five reasons why your stay will be better than a Hotel for trips of a few nights or more. Cost-effective choice of accommodation – by shopping at the local store and preparing your own food you can limit your catering budget plus there are no hidden charges with all costs included in the daily rate. 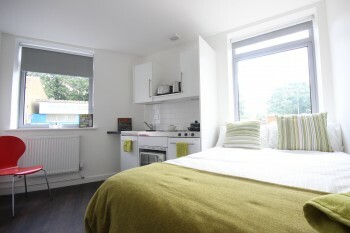 Centrally located development close to the University and situated just a few minutes from all travel links including London Luton Airport. 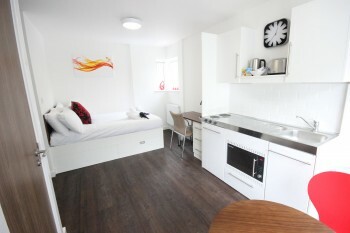 Spacious with modern furnishings – all the essentials needed including a kitchenette with 2 ring electric hob, fridge with small freezer box, combination microwave/oven plus utensils/crockery/cutlery. The living/sleeping area is open and has a dining table with chairs, dressing table/work desk with PC and a double wardrobe. 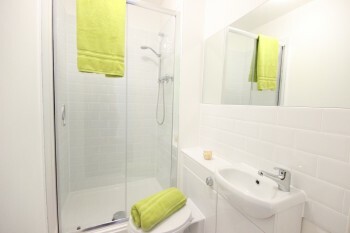 The separate en-suite shower room has a large shower cubicle, toilet and wash basin. Laundry facilities – iron and ironing board provided and the building has a communal laundry room with washing machine and dryers. Complimentary access to the relaxation room – with pool table, fuss ball, TV and chill-out zone. 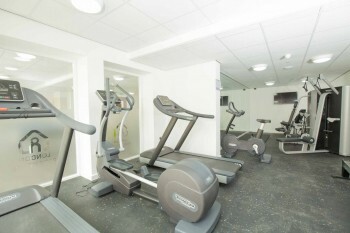 Guests also have access to a fitness gym and cinema room. There are also meeting rooms for hire at competitive rates. Ideal for corporate stays or business travel – access to a meeting room means you can work, play and relax all in one building. 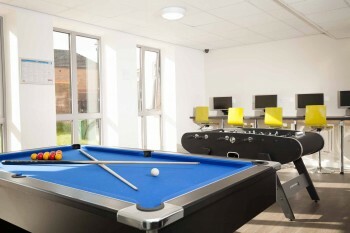 Cotels apart-hotel style serviced apartments in Luton also lend themselves perfectly for airport staff or as a stop-gap before you fly out of London-Luton airport. 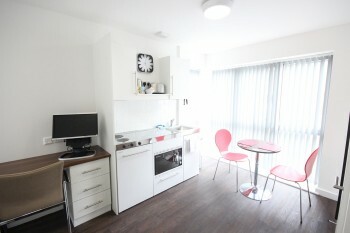 Looking for accommodation in Luton? 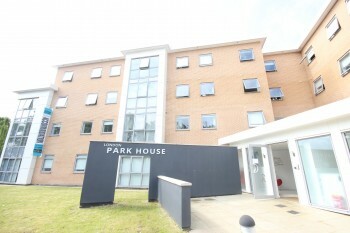 London Park House aparthotel style accommodation is available for stays from just 3 nights, offering great value for money for corporate and leisure travellers alike.